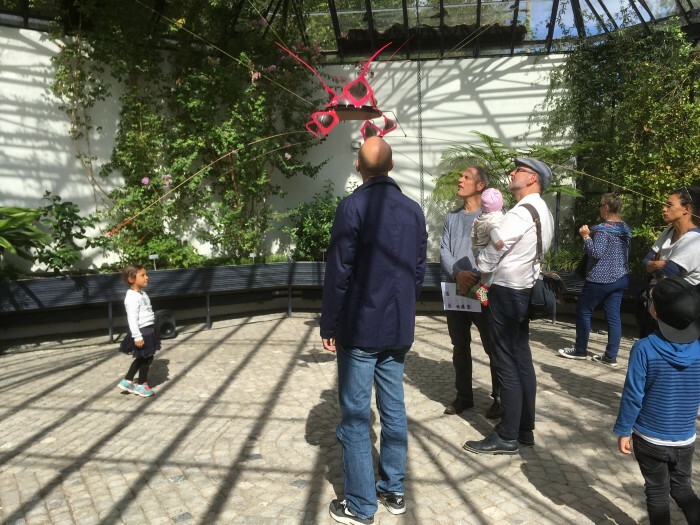 A moving organic sculpture hangs in the middle of the Palmenhaus in Old Botanical Garden in Zurich. As it senses surrounding sounds, it stretches its thin surfaces moving its arms. Their movements awaken other sounds which in response shape its movement. In a loop between sounds and movement, the human remains an observer despite his or her desire to interact with fascinating sculpture. The project recalls the botanical gardens as places where exotics species could be seen. However, rather than from a faraway land, this specie stems from a nearby design research lab.